The United States and five Arab partner nations, Saudi Arabia, UAE, Qatar, Bahrain and Jordan, today launched wide-ranging air campaign against ISIL positions and those of other jihadist groups in Syria. The airstrikes targeted ISIL headquarters, groups’ bases, training camps and checkpoints in at least four provinces. The focus of strikes, however, was the city of Raqqa, Islamic State’s de facto capital, and other positions in the northern province of Raqqa, the ISIL bastion in the country. ISIL headquarters and checkpoints in Raqqa City and its western and northern countryside were hit. ISIL HQ building was destroyed. Also targeted were ISIL positions in provinces of Deir al-Zour and Hasaka, whose oil wells have been exploited by the Islamic State to finance its operations. ISIL positions in Aleppo were also hit. U.S. also targeted other jihadist groups, including Jabhat al-Nusra and Khorasan Group, a network of al-Qaeda veterans who have established a base in Syria. CENTCOM said the U.S. airstrikes disrupted “imminent” attack by Khorasan Group against U.S. and Western targets. Reports from the area also indicate that one of prominent al-Nusra fighters, Abu Yousif al-Turkey, was killed in last night attacks. A mix of fighter, bomber, UAV, and Tomahawk Land Attack Missiles (TLAMs) were used to conduct 14 strikes in the country, the U.S. Central Command (CENTCOM) reported. 47 TLAMs were launched from USS Arleigh Burk and USS Philippine Sea operating in the Red Sea and North Persian Gulf, CENTCOM said. 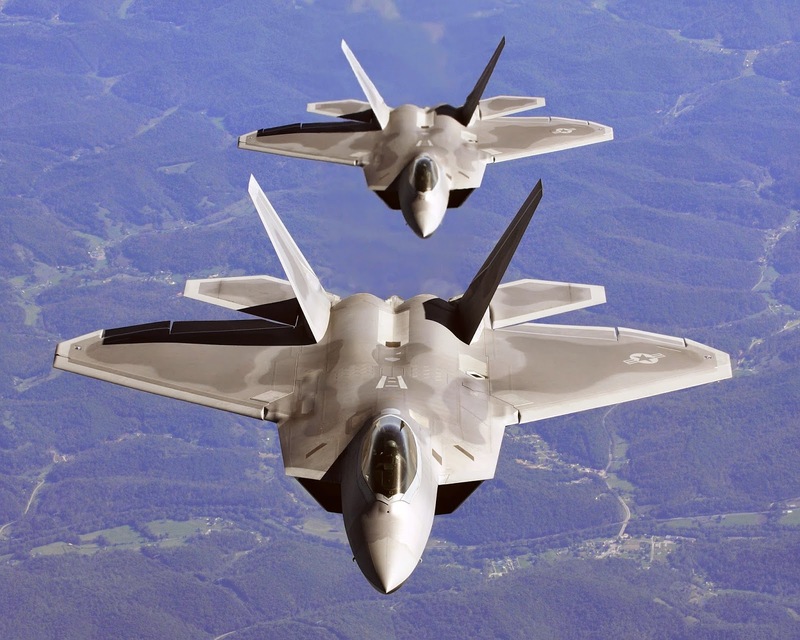 Stealth F-22 Raptor fighter jets made first combat appearance during the airstrikes in Syria. Speculation certain airstrikes coordinated with Kurdish Democratic Union Party “Peiople’s Protection Units”, with another Kurdish militia unit movement from Iraq to Syria. SyAAF aircraft shootdown by IDF appears to be Su-24M2 (not MiG-21).